As a healthcare professional that is essential for the provision of long-term care, a certified nursing assistant (CNA) assist patients with the activities of daily living in various healthcare settings. A nursing assistant works under the direct supervision of a licensed practical nurse or registered nurse to meet patients’ physical, social, and emotional needs. Common responsibilities include cleaning and bathing patients who may have difficulty going to the bathroom or with personal grooming, taking patients to the bathroom, turning and reposition patients, preparing and serving meals, and helping patients eat. Since CNAs spend a great deal of time with patients, they can pick up on health concerns and report critical details to nurses and other professionals on the healthcare team. Nurse assistants also measure and record vital signs, such as temperature, blood pressure, and pulse. They set up medical equipment for patient exams or move equipment from one room to another and assist with some medical treatments. CNA classes prepare adults for this essential role in just 4 to 12 weeks. Graduates who pass the nurse aide competency exam will be added to the California Nurse Aide Registry to work in long-term care. The Nurse Assistant course at Lynwood Community Adult School includes theory and practical instruction to prepare students for success on the Nurse Aide Exam. Students develop skills to provide basic nursing care in various healthcare facilities. The curriculum emphasizes patient care, patient safety, philosophy, rehabilitative care, infection control, communication skills, personal care, measuring vital signs, and the law and ethical concepts that govern practice. Students who complete the minimum hours required for theory and clinical instruction will graduate from the program. Attendance of all classes and clinical sessions is mandatory for completion of the program. The curriculum is approved by the California Department of Public Health, so graduates are eligible to take the state exam for employment in long-term health care facilities. The Certified Nurse Assistant Program at Goodwill includes classroom instruction and clinical training to grant students eligibility to sit the State of California CNA examination. 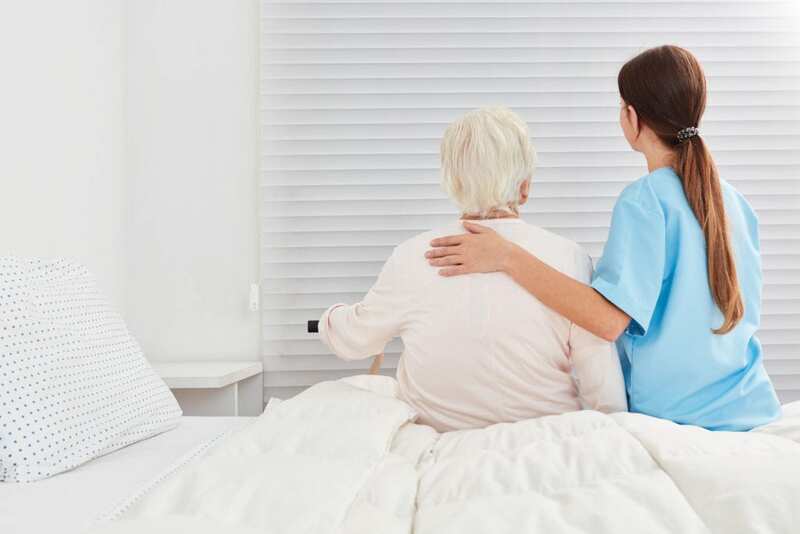 The state-approved program covers infection control, basic nursing skills, laws and ethics, medical terminology, personal care, vital signs, rehabilitative treatment, safety and emergency procedures, patient rights and independence, and hospice care. The duration of the program is 11 weeks. The program admits students 6 times per year. Space is limited. Goodwill works with graduates for up to five years to assist with job placement and higher-level training. The Certified Nurse Assistant program at Trident School of Nursing leads to a Certificate of Completion. The five-week program combines theory and practical according to state guidelines for nursing assistant training. Classes meet Monday through Friday from 4:00 pm to 8:00 pm for theory. The clinical practice occurs on Saturday and Sunday from 6:30 am to 7:00 pm. Clinical sessions are mandatory and cannot be missed. Missed days can be made up during the five-week period of the program. Tuition costs $1,700 if students pay the first day of class. The cost is $1,900 if students use the payment plan. The cost includes all books, supplies, live scan, registration of $250, CPR certification and other miscellaneous expenses. The Nurse Aide Exam fee is not included. Address: 2047 1/2 Orange Ave, Long Beach, CA. The nursing assistant program at Angeles Institutes teaches the basic principles, skills, and knowledge of patient care. Students learn how to assist the nursing team in the bathing, dressing, feeding, and transportation of patients. The curriculum includes classroom and skills laboratory on campus as well as supervised clinical experiences in acute and long-term care facilities. It covers 50 hours of theory, 36 hours of skills lab, and 104 hours in a clinical setting for a total of 190 hours or 10.25 credit units. Throughout the program, students will learn how to perform basic nursing skills, perform personal care skills, demonstrate appropriate attitudes in nursing care, personal care with proper attention given to infection control, and communicate and collaborate with the health care team. They also learn how to maintain patients’ rights, respond appropriately to emergencies, and be aware of educational opportunities. At the conclusion of the program, students will be eligible to take the State Certification Exam to become a Certified Nursing Assistant. The duration of the program is 6 weeks full-time or 12 weeks part-time. The total cost of attendance is $2,141. It includes tuition ($950), registration ($100), books and supplies ($986), and graduation fees ($105). West Los Angeles College provides adults with all they need to succeed on the State Certification Exam and become competent Certified Nursing Assistants in just nine weeks. Graduates will be eligible for employment in long-term care facilities, nursing homes, acute care facilities, and home health care. The curriculum covers 54 hours of theory in the classroom and 108 hours of clinical work. Students meet Tuesday and Thursday evenings on campus for the classroom theory. Clinical sessions are conducted at local health care facilities on Saturdays and Sundays. The training includes but is not limited to infection control, medical terminology, safety and emergency principles, personal care and hygiene, basic nursing skills, the role of the nursing assistant, emotional and social support, and hospice care. Graduates will be scheduled to take the State of California certification exam – fingerprinting and background clearance are required for state certification. Use the contact information below to learn more about the current schedule and tuition.